St. Patrick’s Irish Dinner will be held at the Greater Hansville Community Center on March 16, 2019. Doors open at 6:00 and dinner will be served at 6:30 pm. 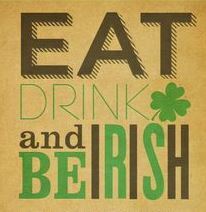 We’re offering the very traditional corned beef and cabbage dinner along with carrots, potatoes and Irish soda bread. We’ll be serving some delicious, award-winning ales: Sound Brewing’s “Bombshell Belgian-style Blonde” and Silver City’s “Ridgetop Red” making the evening a fun gathering of friends, neighbors, and fellow countrymen. We will have some nice Celtic music in the background to put you in the mood. Tickets are $20.00 per person, there will only be 100 tickets available, so get them early at Hansville Grocery. Each ticket includes the dinner and all the fixin’s, dessert, and four 8-ounce beer samplings.